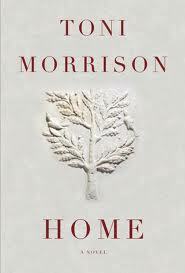 Toni Morrison's newest novel Home, which focuses on a black Korean War vet, has an official release date of May 8. Morrison and her novel have been receiving coverage in various publications. Morrison was also recently selected as a recipient of a Presidential Medal of Freedom. What follows are a selection of recent writings about Toni Morrison and reviews of her novel. Thanks for this post! After reading the book it is fascinating to read other people's opinions!